Hello! TGIF! It's been a long week, and we are looking forward to the holiday weekend! 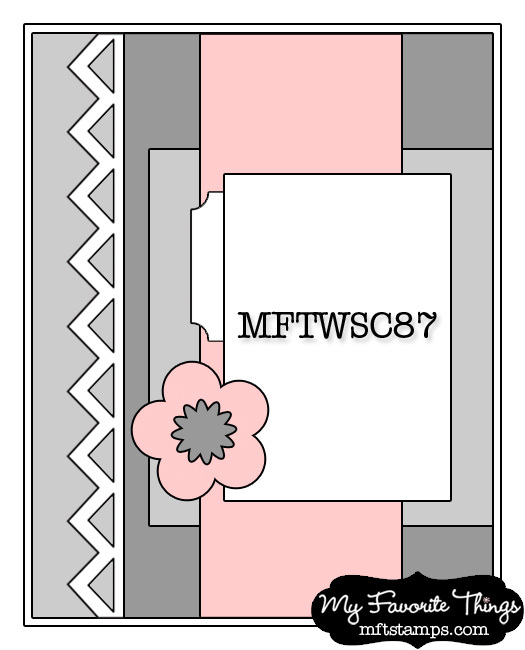 I have a card to show you that I made using the latest MFTWSC87 sketch. I used the new Pure Innocence Prehistoric Girl today. 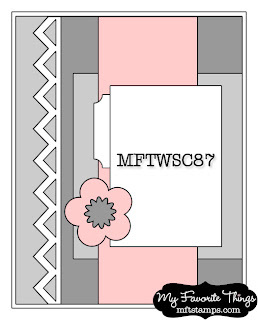 She is part of the latest MFT VIP Costumed Cuties collection. 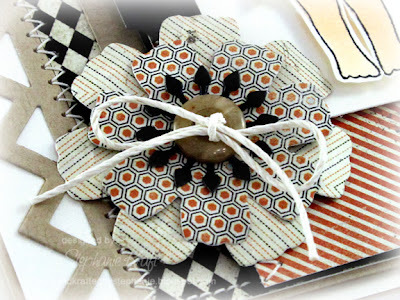 Accessories: Die-namics: Open Zig Zag Border, Mini Tabs Foursome, Botanical Beauty, Kraft button (MFT); Markers (Copic), Hemp cord, Foam tape, Thread, Sewing machine. 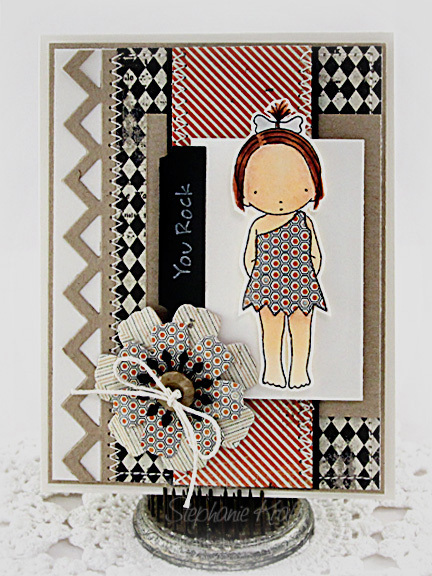 Great DPs and just love the paper pieced dress!